on a raft, in a craft??? Thank you! Yes, this is it. I have another vintage Kodak, too. They are non-functional dust collectors. 🙂 But, they make me smile. It’s neat that you had one too. I’m sure the camera was ready to send off when you did, Brad. I miss film! I miss loading the film into the canister in the darkness…. Oh my…. 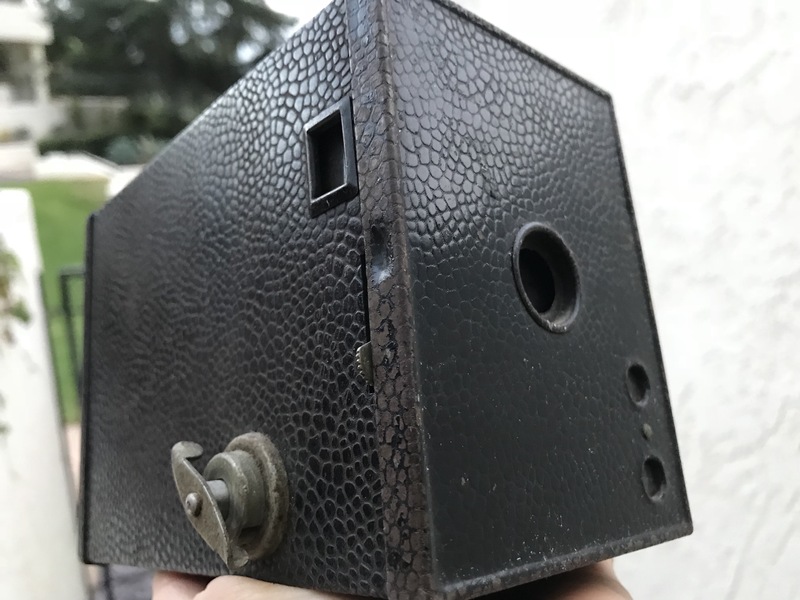 My dad had one of these cameras. Thank you for this lovely piece Ka. It’s a really neat relic of the past! I have one of these!